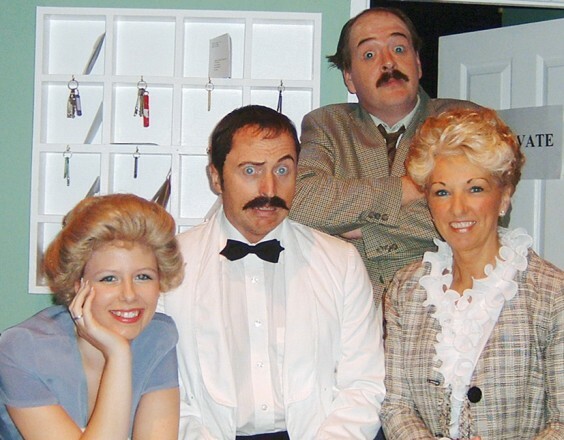 Rowney Green Players set Redditch’s Palace Theatre alight with their blockbusting performance of Fawlty Towers. They are one of the first amateur groups to take on this mammoth task and they did it justice in every way – set, costumes and comedy timing. Chris Richards as Basil and Helene Dryhurst as Sybil were magnificent. But they did it and she has a right to be very proud! The audience’s laughs and spontaneous applause throughout proved it. Well done Rowney Green Players, your rendition of Fawlty Towers will be the benchmark for future productions.